Researchers at the Albert Einstein College of Medicine, and colleagues, have found a clear link between living to 100 and the inheritance of a hyperactive version of an enzyme that rebuilds telomeres. 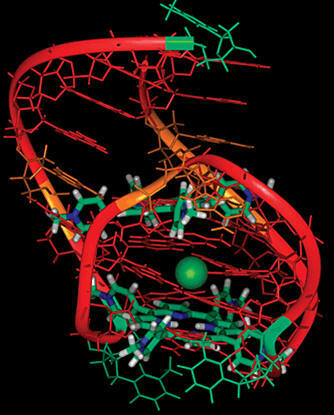 Telomeres are relatively short sections of specialized DNA that sit at the ends of all chromosomes. Telomeres have been compared to the plastic tips at the ends of shoelaces that prevent the laces from unraveling. Each time a cell divides, its telomeres erode slightly and become progressively shorter with each cell division. Eventually, telomeres become so short that their host cells stop dividing and lapse into a condition called cell senescence. As a result, vital tissues and important organs begin to fail and the classical signs of aging ensue. In investigating the role of telomeres in aging, the researchers studied Ashkenazi Jews because they are a homogeneous population that has been well studied genetically. Three groups were enrolled: 86 very old, but generally healthy, people (average age 97); 175 of their offspring; and 93 controls (offspring of parents who had lived a normal lifespan). "As we suspected, humans of exceptional longevity are better able to maintain the length of their telomeres," said Dr. Yousin Suh, senior author of the paper. "And we found that they owe their longevity, at least in part, to advantageous variants of genes involved in telomere maintenance." 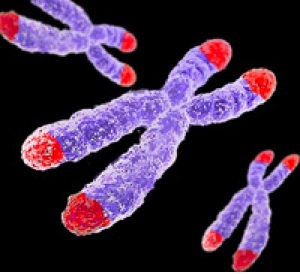 More specifically, the researchers found that participants who have lived to a very old age have inherited mutant genes that cause their telomerase-making system to be extra active and able to maintain telomere length more effectively. For the most part, these people were spared age-related diseases such as cardiovascular disease and diabetes, which cause most deaths among elderly people. Researchers from UCLA, and colleagues, have for the first time successfully reconstituted in the laboratory the enzyme responsible for producing the blockbuster cholesterol-lowering drug lovastatin. "In this study, we studied the enzyme that makes a small-molecule precursor to lovastatin. And what's really different about this enzyme, compared to all other enzymes people have studied, is that this enzyme is extraordinarily large," said Dr. Yi Tang, senior author of the study. "It's one of the largest enzymes ever to be reconstituted in a test tube. It is ten times the size of most enzymes people study." The enzyme used in Dr. Tang's study has seven active sites and catalyzes more than 40 different reactions that eventually result in an important precursor to lovastatin. Dr. Tang's team has been able to recapture all of the steps needed to make the lovastatin precursor molecule. "It's like having an assembly line with seven stations, and in one round you have to go through a combination of these seven stations. Remarkably, this enzyme uses the assembly line eight times to make this small molecule—every time, it uses a different combination of the individual stations," Dr. Tang said. "So the large enzyme is programmed to utilize these stations differentially at every cycle, in different combinations, and now we can do it in a test tube." And with this, Dr. Tang hopes they will be able to disrupt, tweak, and change some of the steps to make slightly different molecules that can be just as beneficial. "It's biosynthetic engineering of an assembly line to make a molecule that nature doesn't make,” Dr. Tang said.